Indulge with historian Charles Phoenix at the Monkey Tree Hotel. Indulge with historian Charles Phoenix at the Monkey Tree Hotel on Saturday, Feb. 25. MONKEY TREE, you can guess the theme colors of the night: yellow and turquoise. Guests at the Cake & Cocktail Party, which is happening during Modernism Week, are invited and encouraged to arrive wearing the hues, which are seen throughout the eye-wowza property. 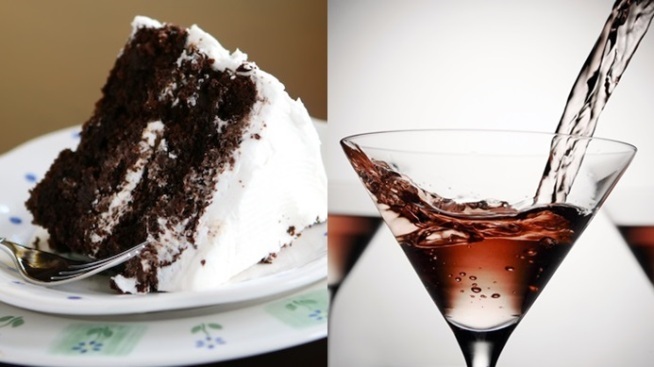 There shall be adult libations, as the name suggests, and one of Mr. Phoenix's famous and humorous "towering" cakes'll be the sweet on everyone's plate. Price? It's fifty bucks, and the Palm Springs Modern Committee is the organizer. Cake, cocktails, mid-century buildings, yellow and turquoise dress, snazzy attitudes, snazzy everything... if one or all of these things is your jam, and you're going to Modernism Week, best jump on that ticket as fast and as smoothly as peanut butter spreads on jelly.